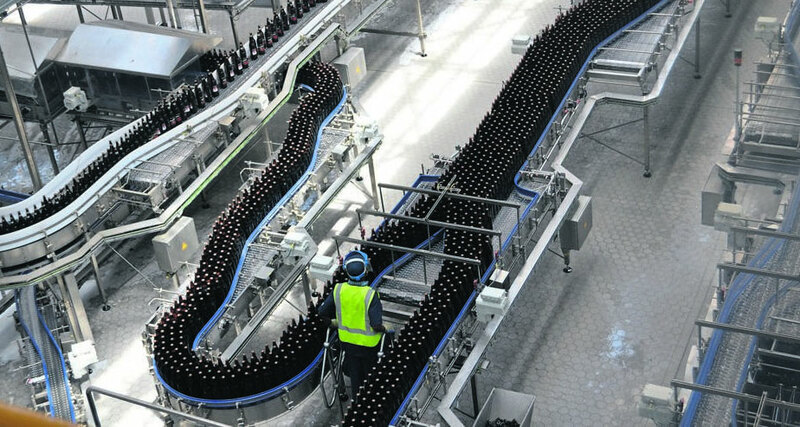 SAB-AB InBev Africa has delivered a strong vote of confidence in Port Elizabeth’s vibrant manufacturing industry with the launch of a brand new R438-million ($30-million) production line at its Ibhayi Brewery based in the coastal town’s industrial area of Perseverance. The multi-million rand investment is over and above the Public Interest Commitments (PIC) made by AB-InBev to the South African government at the time of its business combination with SABMiller at the end of 2016. The PIC involves AB InBev investing R1-billion in South Africa over the next 5 years in the areas of Agriculture, Entrepreneurship and Societal Benefits. “At the onset of the global business combination between SABMiller and AB InBev the agenda was one of growth and investment. A commitment was made to grow and make a real difference in South Africa and this commitment has been accelerated through the investment at Ibhayi Brewery,” says Ricardo Tadeu, Zone President, SAB and AB InBev Africa. The new 6000m2 line adds an annual capacity of 500 000 hectolitres to the current approximate 1.8-million hectolitre capacity of Ibhayi Brewery for 2018/2019. 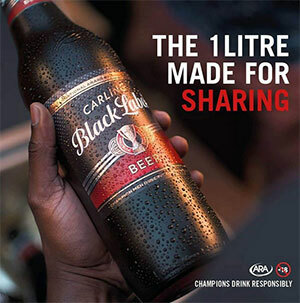 There are now a total of two production lines at the Port Elizabeth based brewery. The full capability of the new line is to produce an additional 1.8-m bectolitres of beer per year, which would bring Ibhayi Brewery’s annual capacity to close on 3.6-m hectolitres of beer when in full operation. The new line has created employment for 14 people, mostly women, who operate the line over several shifts. Another 40 people are expected to be employed when the line operates at its full capacity and volumes are increased over the coming years. Ibhayi Brewery now employs a total of 152 people, operating the two production lines over several shifts. The new line currently produces SAB’s recently introduced 1-litre Castle Lager and Carling Black Label returnable glass bottles at 34 500 bottles per hour. It is expected that Castle Lite’s 910ml returnable glass bottle will run on the line from early 2019. In addition to these brands, Ibhayi Brewery produces Hansa Pilsner, Castle Milk Stout and Lion Lager. The Ibhayi Brewery warehouse is also being expanded to accommodate the increased volume being produced with the introduction of the new packaging line, adding another 2000m2 to the plant. “This investment will empower our employees to do what they do best – brewing the best quality beer, innovating and ensuring that we do so in a way that will drive sustainable growth,” says Tadeu. The construction of the new line at Ibhayi Brewery began in March this year and was completed in seven months. It officially went online and produced its first batch of beer in October. This is the third expansion investment at its South African breweries in two years. In mid-2017, SAB invested R2.8-billion in expansions at its Gauteng-based breweries, Alrode in the south of Johannesburg and Rosslyn outside of Pretoria. The expansions included a new packaging line for returnable glass bottles at both breweries and a brewhouse at Rosslyn. Approximately 70 additional full-time jobs were created. In addition to this investment, a new greenfield malting plant was recently built at Alrode Brewery at a cost of R1.2-billion, expanding malting capacity by 110 0000 tonnes of malt to 150 000 tonnes of malt produced a year. Previously, SAB would import 60% of its malt requirements and the new plant has decreased this figure to close to 0%. The new maltings plant has seen an additional 28 new jobs created.